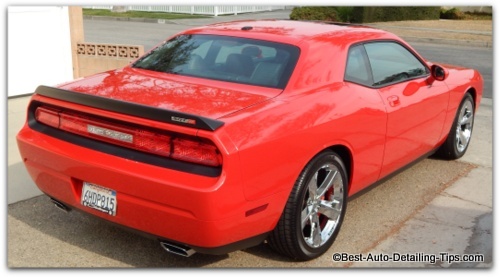 Car paint colors will greatly affect the care and maintenance your car requires. Choosing the best car paint colors might not be as simple as you think. 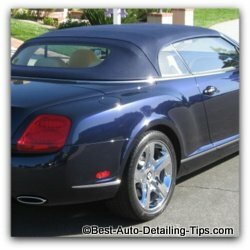 As a business owner from the world of professional auto detailing, I am commonly asked what the best car paint color is. I don't know about you, but I always have to laugh whenever I get a question regarding the "best" of anything. 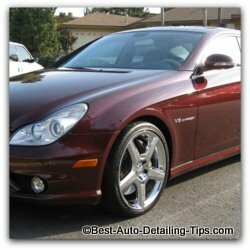 As a car detailing professional I certainly have an opinion when it comes to selecting the best color of your next car as far as care and maintenance goes; which is usually what the question is really about when I dig a little deeper into the "real" question being asked. Not all automotive paint colors are created equal; some have a greater emotional response, some have greater demands of care and maintenance. If you are looking to get the most out of car ownership and want lasting satisfaction, then read along and become part of the elite group of society called the informed! Knowledge alone is not power, but knowledge applied is power! "Most people choose the color of their car based on emotion rather than logic, reason, or experience." 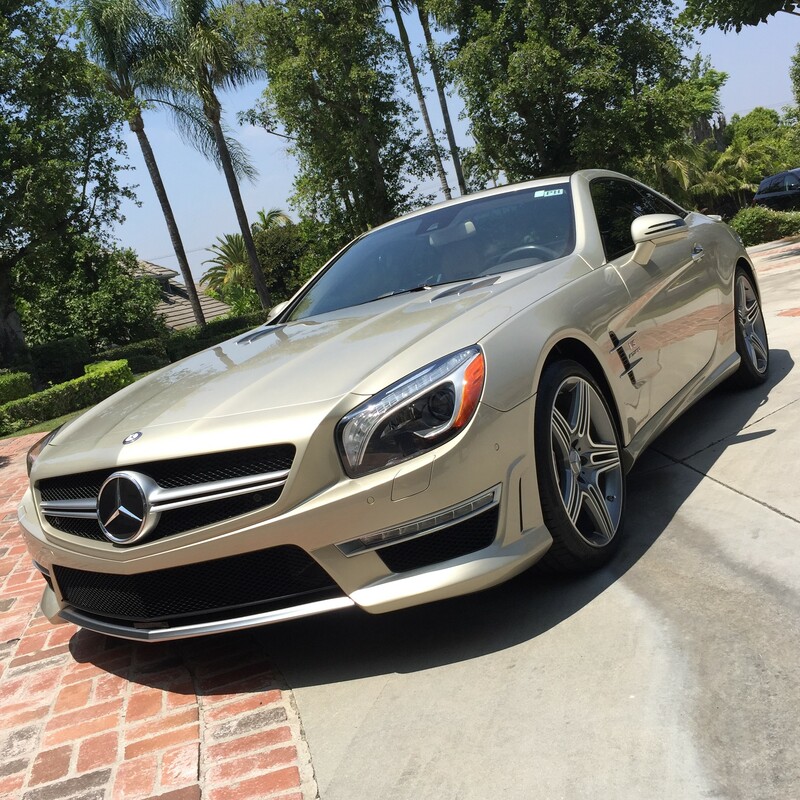 I am often asked as a professional dealer which car color is the easiest or hardest to take care of. Most people recognize that black is the most difficult, and subsequently think that white would therefore be the easiest. So let's examine the different car paint colors and let me show you from my professional experience what is what, and what is not. Hopefully aiding you next time you go shopping for that new car to remember to apply some logic to what is normally an illogical or emotional decision. 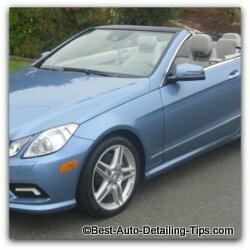 Since it is such a common question and topic of discussion with my customers, I will break down both the exterior car paint colors and let you understand the many variables that a person might want to consider before allowing their emotions to take over the steering wheel and driving them into a color choice that they quickly regret. I know, most of us have heard the saying. 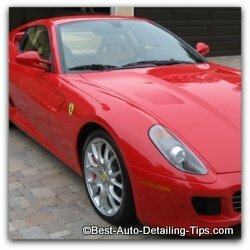 But most often the saying is in a very different context than that of choosing the best car paint colors. Very few people can deny the emotional reaction that a freshly cleaned and detailed black car can have on any onlooker. When done right, there's nothing quite like it. But there is the rub; the ability to not only "do it right", but to maintain that "right". Which is why I like to say, "Once you try black, you may never go back". And by going back, I mean to black. Ask anyone who has ever owned, or currently owns a black car and they will tell you of the frustration a black car represents. So for most people, I recommend you stay away from black despite what your emotions are screaming at you the next time you happen to see a very shiny black car. Among the most dramatic colors visually when detailed correctly. Not only will the paint heat up to the temperature of the sun, but will cause the interior to heat up proportionately along with it. Black shows every nuance of paint flaws. 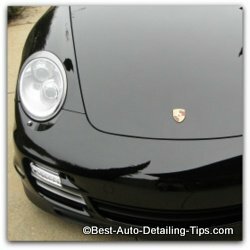 Black car paint is the hardest color to keep clean. Will show dust from the moment you stop cleaning, until the moment you start cleaning once again! Black interiors hide actual dirt the best, but enhance the superficial dirt like dust, debris, and lint. Experience has shown that unless you have an excess of time and money, the love/hater relationship between your black car will reside mostly on the hate. For most people when asked, white represents the easiest of car paint colors to take care of; and in many ways you are correct. But the reality is that there exist even easier paint colors that are even more forgiving with regards to dirt and dust, and also represent less care and maintenance. One of the easiest colors to own; makes it on the top 3 for ease of maintenance. 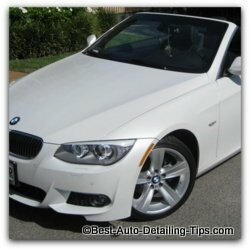 White car paint hides dirt and grime very well overall. Shows the road grime kicked up by tires far better than any other color. White car paint still remains the most popular car color. Just like in the fashion world, white makes things look larger as opposed to the slimming and reducing color of black. Most forgiving with heat/temperature factors. Interiors of these car paint colors usually come in black, grey, or tan; black is the best choice for all around ease of maintenance as the lighter interiors will show actual dirt much more. We have looked at both ends of the extremes of white and black without dissecting all the many colors or shades of colors in between. or in other words, what car color represents the most forgiving, easiest of all colors to maintain? Answer: Champagne, taupe, etc. There are many versions out there, but the picture above shows one example of a version of this color that basically looks like the color of dust! The easiest, most forgiving color of all car paint colors. Basically the color of dust, therefore even dust doesn't show until a healthy layer has been allowed to accumulate. 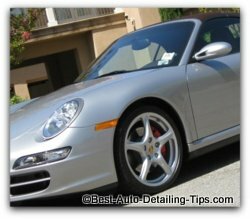 Since it is not white, road grime that gets kicked up from the road is less noticeable than that of a white car. Virtually as forgiving with regards to heat transfer as white due to its light color. Since we have only touched upon what you might call the extremes of automotive paint colors, let's have a look at some additional color choices and see how they rate on the scale of difficulty with regard to care and maintenance. Not as truly difficult as black, but a close second or third down. Not black, but almost as difficult and frustrating. Will not reach the surface temperature that black will sitting in the sun soaking up all those UV rays; but close! Still very dramatic visually and definitely will cause that good emotional reaction with people. Red is synonymous with sports cars and speeding tickets. While the speeding ticket part is more of an urban legend (the urban legend is that red cars notoriously and unfairly get more speeding tickets by the mere nature of the color red being more visible than other colors) than any actual proven statistic, red certainly creates a strong emotional reaction from people and seems most appropriate on sports cars as a rule. Much easier than black, but still difficult when it comes to dust, swirl marks, spider-webbing, etc. Much friendlier than the darker colors with regard to heat transfer from UV rays from the sun. A real head turner when detailed to perfection. A deep, metallic burgundy certainly sits at the top of emotionally charged colors. Any of the dark colors create deep shadows and show a depth of paint unlike any of the lighter colored cars. Which is exactly why they are such a love/hate relationship for car owners of these dark colored cars. Almost as difficult as black. Subject to high heat transfer from suns UV rays. Prone to show all the blemishes and imperfections of any of the other car paint colors. Very dramatic when detailed to perfection. This is the point in which we get into the nice, but anti-climatic automotive paint color choices. Kind of a half-way point between what many would call the boring colors of the light paints, and still a level of visual excitement. With that said, this light blue color represents what most people would call a chick color. One of the many colors most people would consider the winning combination of the pros and cons. Not too light, not too dark. Easy on the care and maintenance side. Easy on heat build-up of UV lighting. More of a mans color versus the chick color from above, the light metallic grey represents the very same pros and cons of the half-way point in color shades. Considered an elegant and sophisticated car paint color. Easy on care and maintenance. Easy on heat build-up from suns lighting. The winning combination for many. If you took a chance at guessing which color is the king of ease, many of you might have guessed silver; which if you did, you would be mostly correct. Professionally, I would put silver neck and neck with champagne as far as ease of use; or ease of care. Not the color of dust, but light enough without being white to be almost the color of dust. Doesn't show the road grime like a true white car will. Very forgiving with regard to heat build-up. unless of course you have already been bitten by the black car syndrome of that love/hater relationship. People all love when black or dark colored cars are clean and shiny, but hate the way dust shows up immediately and it seems they are dirty more than they are ever clean! 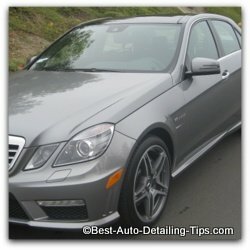 If you do have the "pleasure" of owning a black or dark colored car and are looking for the best car wax to use for these emotionally inducing colors then visit my best car wax review for some professional tips.